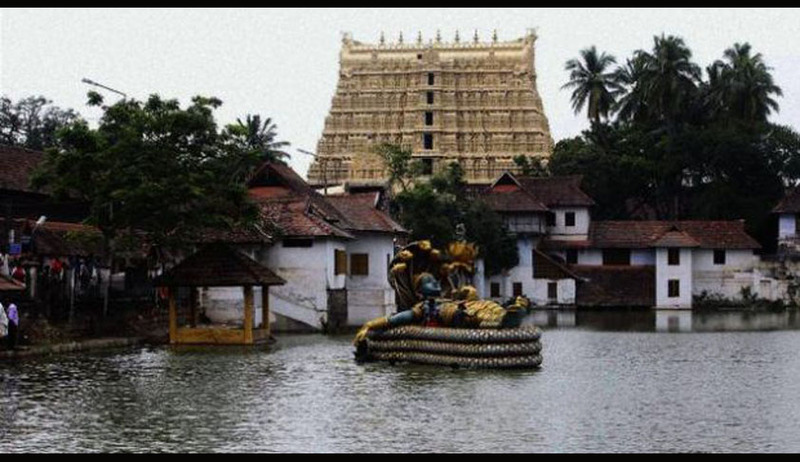 Women devotees wearing churidars or salwar kameez would, henceforth, be allowed to enter Sree Padmanabhaswamy Temple in Thiruvananthapuram without the need to wear a dhoti over her garments. The decision of the Executive Officer was in pursuance to the orders of the Kerala High Court dated 29th September, directing a thorough deliberation on the matter and reaching a just solution. Executive Officer KN Satheesh said except for a ‘microscopic minority’, everyone was in the favour of removing the restrictions and dress code. The petitioner, Riya Raji, had moved the Kerala High Court for directions to the authorities to permit women to enter the temple for worship wearing a churidar or any such dress. She argued that the temple administrative panel had introduced several reforms, but the custom according to which a woman had to wear a dhoti over any other clothing item while entering the temple was improper. She claimed that the tradition of forcing women to drape dhoti over churidar or any other usual dress was improper and had no support of any Agamic injunctions, statutes, Vedas, Upanishads or customs. Justice Shaji P. Chaly had, thus, directed the temple Executive Officer to take a decision on the matter after giving due representation to all the interested parties within one month of the receipt of the judgment. The administrative committee appointed by the Supreme Court was in favour of continuing with the present dress code. They contended that change in traditions cannot be brought about without a wider agreement. They also held that the matter was of little significance being heightened at the cost of other important issues. He said there were innumerable decisions of the Supreme Court regarding religious freedom, custom, tradition and practice and reasonable restriction and the temple administration must also adapt to changes in the society. Moreover, he said, wearing of churidars by a devotee could not be said to be objectionable since the same is a popular and socially accepted dress worn by women in the country. A Supreme Court-appointed Committee took charge of the administration of the temple from the members of the erstwhile Travancore Royal Family in 2014.